The Tucson Unified Comprehensive Competency Based Guidance Program is a proactive, prevention program where counselors are responsible for students acquiring the guidance standards. Counselors in Tucson Unified implement the American School Counselor Association National Model for school counseling programs. 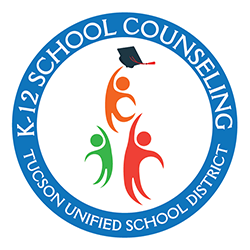 What are the Tucson Unified School Counseling Program Standards? What are the duties and responsibilities of TUSD School Counselors? Work with universities and colleges – place all graduate students from school counseling programs, program coordination, etc.